Game creators, Zynga, have enjoyed a great deal of success with many of the games they have featured on Facebook. Games like Farmville, Vampire Wars and Fishville have earned a massive following of gamers across a wide age spectrum, from tweens to fifty year-olds and up, the games are just addictive. Fishville is the MMO where you can have your own fishtank full of many different kinds of fish. You can decorate your tank with things like miniature lighthouses and plants and rocks. 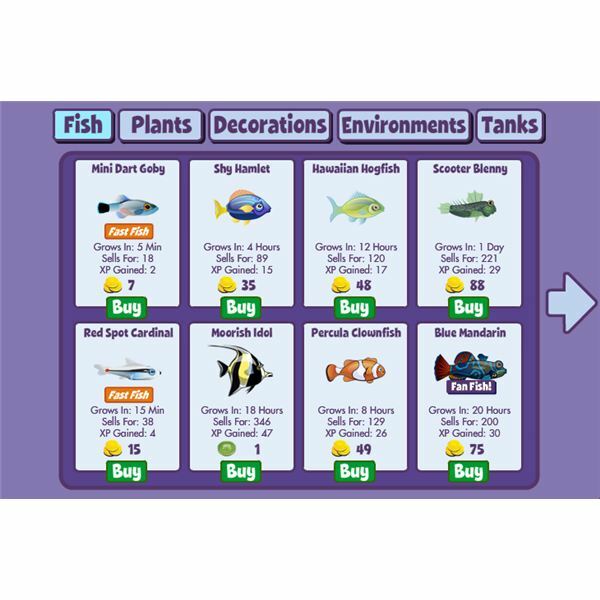 As you level up you can fit more fish in your tank and are able to buy more tanks and decorations as they unlock for you at different levels. choose from. You start off with only fifteen fish in your first tank. 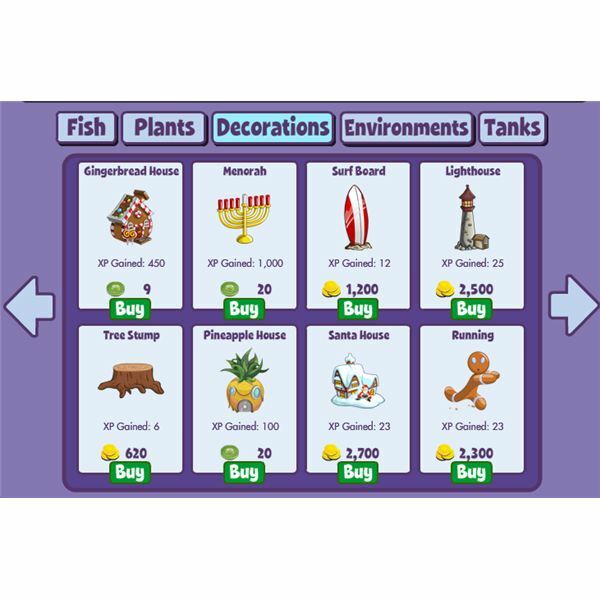 When your fish have reached adulthood you can sell them for coins and experience and then repeat the cycle of buying, growing and selling them to save up for decorations you want in your tank, and to level up. Be mindful of the time required to come back and feed your fish before you purchase them. You can buy fish that grow in a few minutes or in over a day, so pick one that you will be able to take care of. Your fish will die if they are not fed. As with all aspects of gameplay in Fishville you are limited in what you can purchase at the store to spice up the look of your tank. There are three different areas at the store for you to check for things to add. Click the "Decorations" button and you see cool items to put in your tank like a mini beach ball, a skull, and even a hobbit hole. Visit the "Plants" section of the store to make your tank feel like it has some natural environment- your fish will enjoy it and it adds a lot of color. You can also put big rocks in your tank. Go to "Environments" to change the background of your tank, and to change the kind of rocks, or sand for the tank floor. When you first start playing there will only be a few things unlocked for you to buy, but earning that next item is part of what makes playing Fishville so fun! 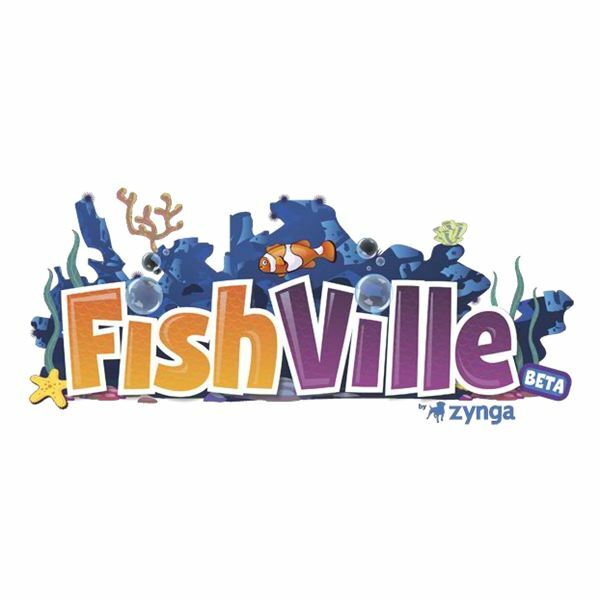 Just like in Farmville, you can add neighbors in Fishville. You will actually need a certain number of neighbors to buy additional tanks. Invite your friends to join you in using your creative side to design the coolest looking tank! You will be invited to help out your Facebook friends take care of their tanks. You will cool the temperature of the water and clean off the algae buildup on the glass. Helping your friends earns you extra experience and coins as well! You can also send and receive gifts from your friends. 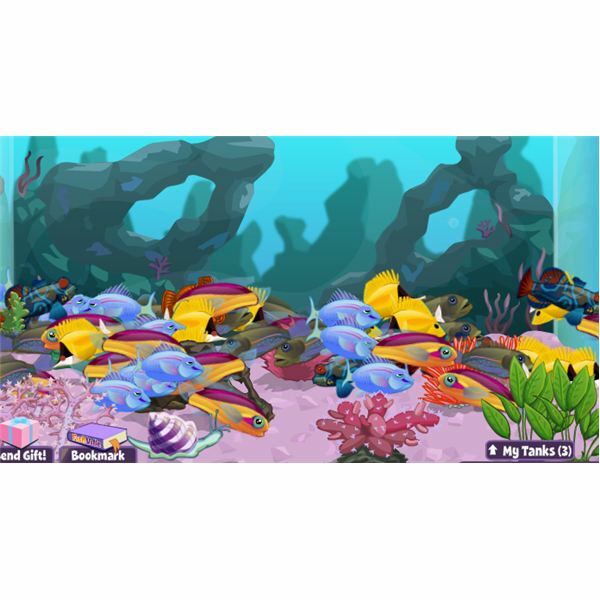 Most of the gifts are decorations, or plants, but they also have a few ocean creatures to spruce up your tank, like clams and sea snails. a browser-based game, etc. It’s definitely not very complicated, but the more you play the more you see that there is some strategy involved. It is a great game to play on a casual level, and when you don’t want or have time to spend on one with intense gameplay.